Join the RAIC + MOV's public dialogue on non-subsidized affordable housing for the “missing middle”, which includes millennials, families, seniors, first responders like paramedics and fire fighters, teachers, professionals and others. The four panelists comprise of two housing change makers, Minister Selina Robinson, Ministry of Municipal Affairs and Housing and Lance Jakubec, Housing Affordability Specialist, Canada Housing & Mortgage Corporation and two housing critics, Andy Yan, MCIP, Director of the SFU City Program and Dr. Paul Kershaw, Founder /Lead Researcher, Generation Squeeze with Thought Leader for the RAIC + MOV Built City Speaker Series, Gloria Venczel, MRAIC, MCIP, moderating. Through “participatory planning” beginning in Vancouver in the 1970s, local residents have become urban design/planning savvy, helping shape the city into one of the most livable, pedestrian oriented, compact, complete, mixed use cities in North America. Build your knowledge, participate and help shape the local housing affordability solutions! 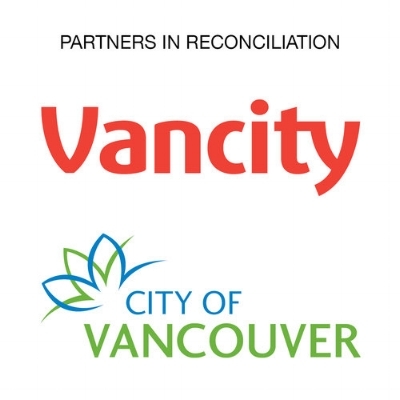 With the upcoming civic elections in BC on October 20, 2018, the dialogue promises to be vibrant. 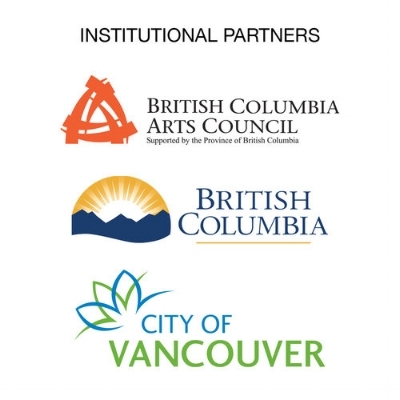 This Built City Speaker Series event is a partnership between The Royal Architectural Institute of Canada + The Museum of Vancouver. Admission: *$12 Early Bird, $19 General Admission, **$10 RAIC + MOV Members. Free for individuals who self-identify as Indigenous. *Early Bird ticket sales end October 10 at 5pm. **RAIC and MOV members please show your identification along with your ticket at the door. Note: Event ticket includes FREE admission to our feature exhibitions Haida Now, c̓əsnaʔəm, the city before the city, Wild Things: The Power of Nature in our Lives and in/flux: Art of Korean Diaspora (reg. $19). Please arrive early with your event ticket to view the exhibits. Lance Jakubec, Affordable Housing Specialist - CMHC. Jakubec has been with Canada Mortgage and Housing Corporation (CMHC) since 1999, promoting technical, financial and policy solutions to enhance the sustainability, accessibility, and affordability of housing. He works directly with developers, builders, lenders, municipalities and non-profit housing providers on financing and funding opportunities. Originally from Kelowna, Jakubec started with CMHC in Ontario before returning to BC in 2005. He served as the lead on two demonstration projects in the Lower Mainland and Interior, exploring cost-effective approaches to “net zero energy” in residential construction and the resulting policy and construction implications. As part of an initial program within the National Housing Strategy, Jakubec was responsible for CMHC’s Innovation Fund in BC, Yukon, NWT and Nunavut. This fund invests in projects testing new building techniques and financial models that lower the costs of creating affordable housing. Jakubec has a B.A. from the University of Victoria and an M.Pl (Urban and Regional Planning) from Queen’s University. Dr. Paul Kershaw is a tenured professor at the University of BC, public speaker, regular media contributor and Founder of Generation Squeeze – a voice for younger Canadians in politics and the market supported by cutting-edge research. Paul is one of Canada’s leading thinkers about generational equity. He received the award for Academic of the Year in 2016 from the Confederation of University Faculty Associations of BC. The Canadian Political Science Association has honoured Kershaw twice with national prizes for his research. He and his Gen Squeeze colleagues received the award for BC’s Affordable Housing Champion in 2017 from the provincial Housing Central coalition. Kershaw’s work has contributed directly to historic investments in BC child care, the first ever tax on empty homes in North America, eliminating limitless rent increases in Ontario, changes to municipal zoning, approval of dozens of new developments, and a shift in BC to reduce income taxes by taxing unhealthy home prices more upon the sale of the property. Kershaw is a policy professor in the School of Population and Public Health, Director of the Masters of Public Health program, and a faculty member in the Human Early Learning Partnership. Honourable Selina Robinson was Selina Robinson was elected as the MLA for Coquitlam-Maillardville in 2013 and re-elected in 2017. Selina is currently the Minister of Municipal Affairs and Housing.Selina served as the Official Opposition spokesperson for mental health and addictions, seniors, local government and sports.Born and raised in the suburbs of Montreal before relocating to Richmond B.C. with her family, Selina has been actively engaged in the Coquitlam community since moving there more than 20 years ago. During her first year as Minister of Municipal Affairs and Housing, Selina has worked hard to help British Columbians impacted by the housing crisis through the Government of British Columbia’s 30-Point Housing Plan, Homes for B.C., which includes an historic $7 billion commitment to affordable housing over the next 10 years. Through the housing plan, Minister Robinson has launched new housing funds for low and middle income British Columbians, Indigenous peoples, seniors and families, and women and children fleeing violence. She has helped renters by enhancing rental assistance programs, bringing in stronger protections through changes to the Residential Tenancy Act and increasing resources to the Residential Tenancy Branch. With Minister Robinson’s guidance, the Government of British Columbia also took immediate action to help people experiencing homelessness through the Rapid Response to Homelessness program by partnering with 22 municipalities across the province to build over 2,000 modular homes with 24/7 support. Andy Yan is the director of The City Program at Simon Fraser University (SFU). Established in 1992, the City Program is a continuing studies program for mid-career professionals, students, and the general public who are seeking additional advanced education and certifications in fields of urban design, transportation, community data science, and urban development. Yan’s current projects include the analysis and visualizations of the residential real estate market of Metropolitan Vancouver and its relationships to globalization, housing affordability, the changing demographics, socioeconomic composition, and the regional economic development growth patterns of Metro Vancouver, and the role of transportation in shaping the region. Yan holds a Masters in Urban Planning from the University of California at Los Angeles and a Bachelor of Arts with First Class Honours distinctions in Geography and Political Science from Simon Fraser University. Andy is a registered professional planner with the Canadian Institute of Planners and a Certified Geographic Information Systems Professional. Gloria Venczel, BES, B.Arch., MRAIC, RPP, MCIP is an urban designer and the Thought Leader for the Royal Architectural Institute of Canada + Museum of Vancouver’s Built City Speaker Series. She was responsible for overseeing the pedestrian oriented programming and urban design of the City of North Vancouver’s award winning Civic Plaza + Vista Commons as urban designer/development planner for the city. She was also the Lead Planner for the largest policy study in the CNV in 20 years, the Central Lonsdale Planning Study, which examined density bonusing for rental housing. Currently, Gloria is urban designer/principal of Cityscape Design Inc., consulting with the development community to meet municipal goals for livability and pedestrian oriented urban design/social connectedness.